You know how sometimes it just takes something kinda small to realize how you perceive yourself? 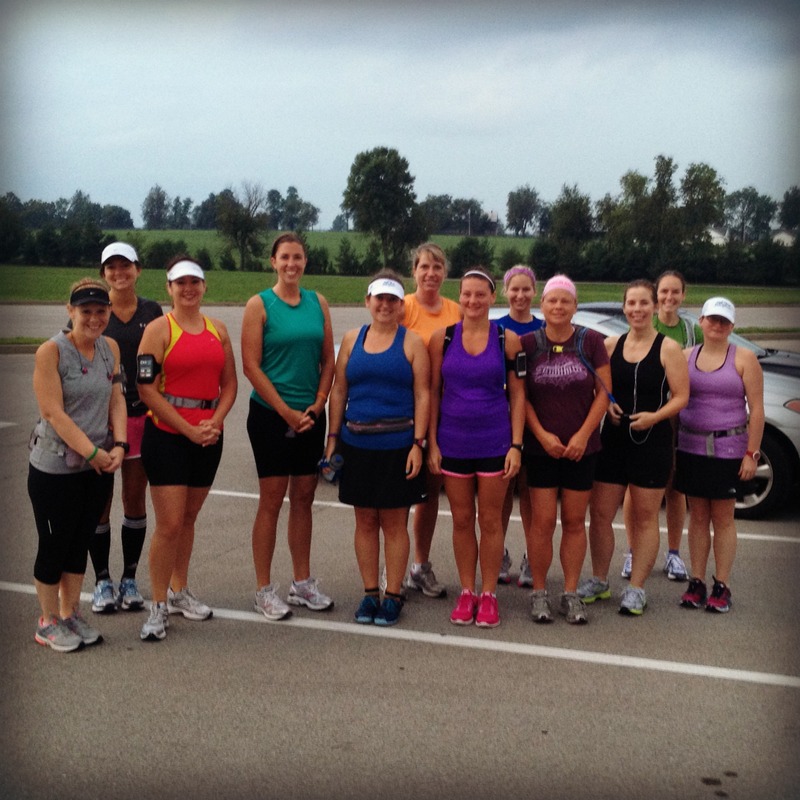 This morning, my running group ran out the Harrodsburg Road Trail. It was humid, as is usual this summer. It was a very fast 6 miles for me. It was a very very good run (even though I didn't like how hard Janine and Brooke pushed me at the time). While Nathan drove home, I pulled out my phone to put the group picture on facebook. At first glance, I couldn't pick myself out. I couldn't pick myself out because I look just like everybody else. I was shocked when I realized that I usually picked myself out by looking for the biggest girl in the picture. And it used to be by quite a lot. But today? I look like everyone else. I look like I belong. I can take the chip off my shoulder. I don't have to justify that I am actually a runner. I can stop expecting that look of surprise from others. I got a little sad when I realized that I viewed myself that way. It made me uncomfortable when I realized that I look for the "big girl" when I look for myself. But that was quickly replaced by a big sigh. Because I now know I can stop looking for her. And I can start seeing me.